Do you get amazed looking at the interiors of big hotels that radiate a golden hue? How classy and sophisticated it looks! You can recreate the same look in your drawing room by adding some Iron Pendant Lamps Brown Antique to your home decor. Experience the beauty of a dark living room, lighted with a few Pendant Brown Lamps; it will be no less than the beauty of a poem well sung. In such an environment, chats are certainly going to be long. 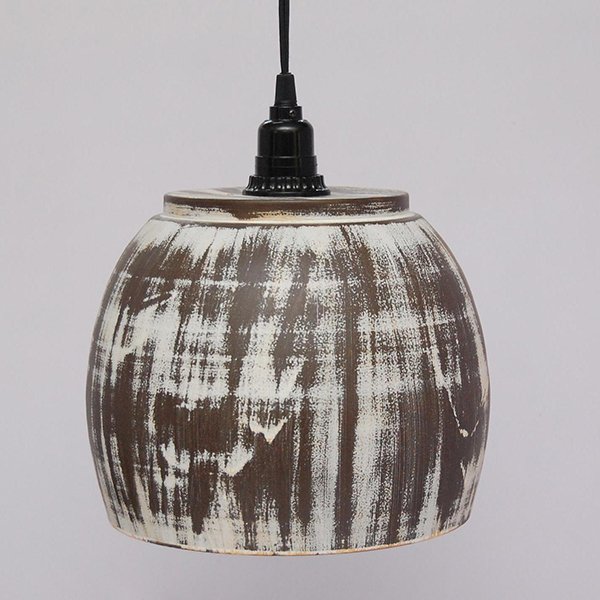 If you want to decorate a part of your house with the element of aesthetics and give it a poetic sort of touch, then use Pendant Brown Antique Lamps. Your guests will get overwhelmed and will certainly love your creative sense. With these lamps placed in the right corner, you donât need to do much. The lamp with a bunch of flowers beside and some light colored curtains in the room are enough to complete the sophisticated look of your house.